I guess I haven't even made a post like this but maybe it should be a thing starting now. Here are a couple of my new favorite things from the month of August! Everything about this game is amazing. 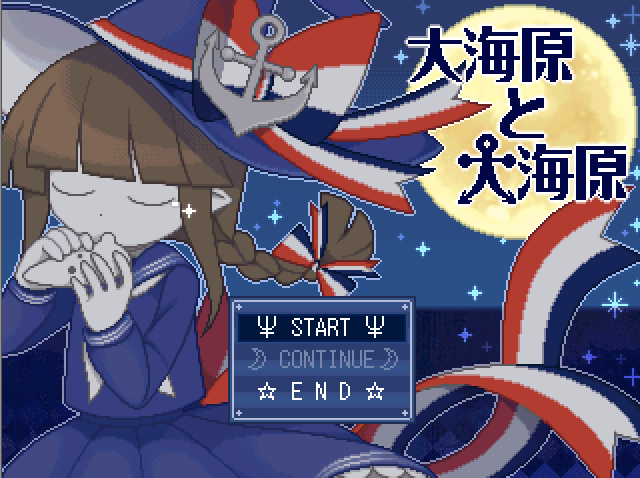 It's a RPG-type game with a cute story about a witch named Wadanohara. I haven't gotten to this part yet, but the website gives a warning for violent images and implied sexual violence so be careful to consider it before playing. You can download the files for free here and play on your computer! I don't think I have been this invested in an anime series since Kuragehime. This anime is my new favorite because it's all about girl power. It's about a bunch of girls who form a school idol group to save their school. None of it is motivated by attracting a guy or something that a guy wants. Actually, I can't even remember seeing a guy in this anime. 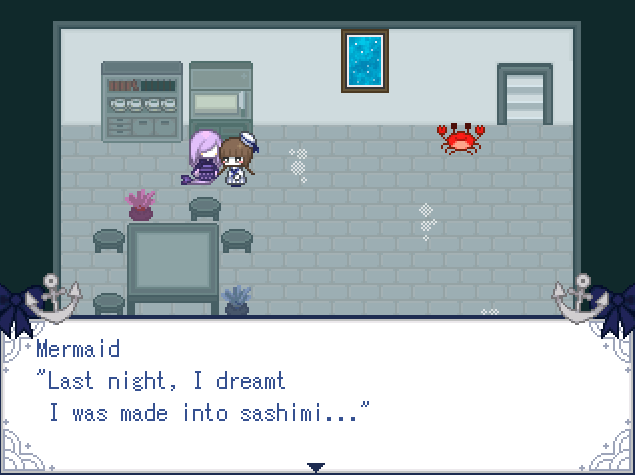 Even the student council is all girls! I love the animation style too. It's mostly just a fun series to watch. I was honestly kind of sad to find out most of the fanbase in Japan is old dude idol fans but... whatever. I think more girls should be watching this. It looks like it's free to watch on Hulu in America but I could be wrong about that. Either way, it's easy to find a place to stream it. This one only applies if you live in Japan. Hot Pepper Beauty is a website and magazine that offers deals and discounts for beauty services including hair salon appointments and manicures. Even though the website is entirely in Japanese, it's much more convenient than booking an appointment via phone if you aren't fluent in Japanese. If you book appointments through their website, you can earn points to use later on. I used this website to book an appointment to cut my hair and it was really easy for me to find a salon near me within my price range. I'll be the first to admit that I have no self control when it comes to 100 yen shops. I saw this cute packaging on this facial mask and decided to try it out. 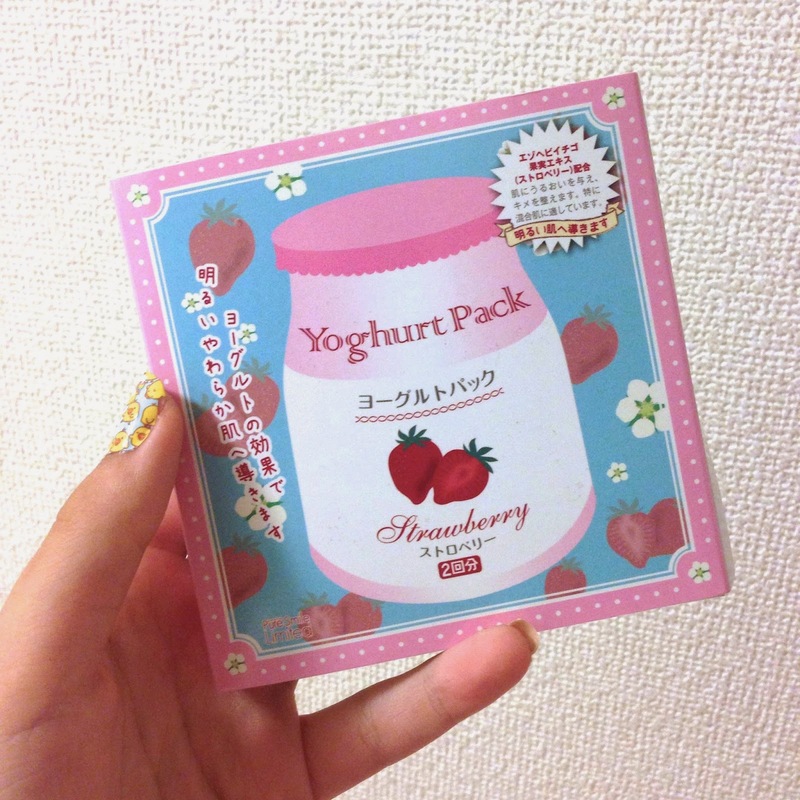 It looked and felt like I covered my face in strawberry yogurt and I loved every minute of it almost as much as I loved how my skin felt afterward. It actually came with two packages inside so I can do it twice! Truly looking forward to covering my face in "yogurt" again in the near future. Great post! ;A; I've been meaning to download that RPG game ever since I saw your post on Instagram *u* I'll definitely be trying this game out ASAP<3 I'll also put that anime on my "To Watch" list c: Your favorites are all so nice ;3; Thank you for sharing them! Awh no problem! Yeah definitely try out the game. It's pretty good because it's set up in a way that makes it not so stressful like you don't have to waste time wandering around wondering where you are supposed to go next. And I love the music in it too! Do you have My Anime List?